Take heart. Braces have evolved over the years and new alternatives in both look and materials are available. FDA is responsible for reviewing these devices for safety and effectiveness and, as appropriate, granting marketing authorization for the devices before they can be sold. Here are answers to some of the most common questions about braces, provided by dental experts at FDA. Q: I thought braces were just for kids. Not so? A: Not anymore. According to the American Association of Orthodontics, these days, one out of five orthodontic patients is over the age of 21. (Orthodontics is a branch of dentistry dealing with irregularities in the teeth by straightening them.) So while you may have foregone wearing braces as a kid, you’re never really too old to do something about straightening your teeth. Q: Why do I need to wear braces? A: Simply put, braces will straighten your teeth. Not only will you look better, but it will also help you maintain good dental hygiene. Crooked or crowded teeth can be hard to clean, causing inflamed and infected gums and other forms of dental disease. Wearing braces now can go a long way toward helping you maintain healthy teeth and gums down the road. Q: Do I have to have a mouth full of metal? A: Your dentist or orthodontist will need to make that determination based on your dental exam. If metal braces will do the job the best, know that many metal braces today are smaller than they used to be, less obtrusive, and can be clear or colored to match the color of your teeth. And if you’re feeling expressive, the rubber bands that connect to the brackets in place now come in different colors. 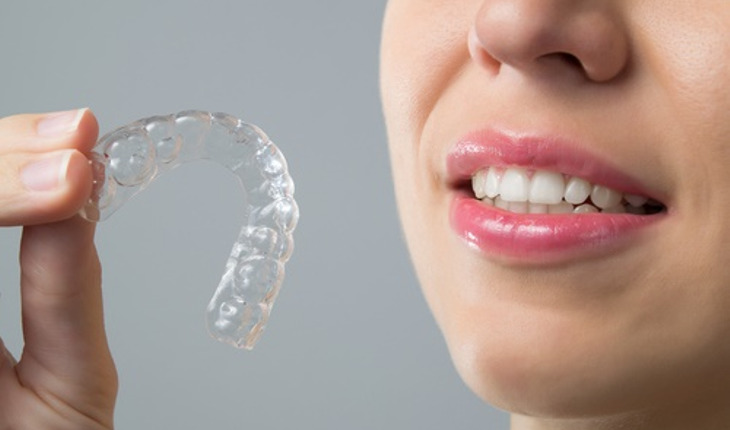 In addition, you may know there are now clear braces (called aligners), such as Invisalign, that are nearly invisible. These tend to cost a little more than metal ones do and they don’t work for everyone’s teeth, but you can ask the orthodontist if they are an alternative for you. Q: How do metal braces work? A: Braces move teeth by applying pressure. The braces usually consist of small brackets cemented to your teeth, connected by a wire and held to the brackets by rubber bands. The wire is regularly tightened by the dentist or orthodontist to gradually shift your teeth and jaw. The brackets may be metal or tooth colored. Q: How do “invisible” braces work? A: Invisible braces, called aligners, are made of clear plastic material and are worn over your teeth to straighten them. You’ll wear each custom-made aligner for a few weeks or maybe a month. Then you get a new set for the next stage of your treatment. This way, your teeth are gradually moved into the correct position according to your personal treatment plan. Aligners are removable and need to be taken out before you eat, brush, and floss, making maintaining good dental hygiene much easier than with metal braces. Because they are removable, you must be sure to follow your dentist or orthodontist’s instructions on how long to wear them each day (typically, about 22 hours). Q: How long will I have to wear braces? A: That depends on how problematic the dentist or orthodontist thinks your teeth are. An average time period is two years; it may be take a little more time or a little less. There really is no “faster” method of straightening teeth. Orthodontics work by applying slow pressure that affects the bone surrounding a tooth to allow it to move. If movement is too rapid, tooth loss or a breakdown of the bone can occur. Q: Isn’t it hard to clean teeth when you have metal braces? A: Yes. It’s easy for food to get stuck in metal braces, so you have to be extra careful to keep your teeth clean and free of food material. Not cleaning your teeth really carefully can cause cavities, limit the effectiveness of your braces, and prolong the amount of time you’ll have to wear them. You may want to check in at the dentist’s office every 3 or 4 months rather than the usual twice a year to ensure that your teeth are well cleaned. Q: Now my orthodontist says I need to wear a retainer. What’s that for? A: Retainers, worn nightly after you’re done with the braces, help maintain tooth position so that the bone in the tooth can solidify in the new position. Q: Are there certain types of food I should avoid eating when I have braces? A: Yes. You should avoid eating anything chewy or sticky, like gummi bears, and chewing gum, and should try not to eat hard candies, as these can damage the braces, prolonging the time you have to wear them.